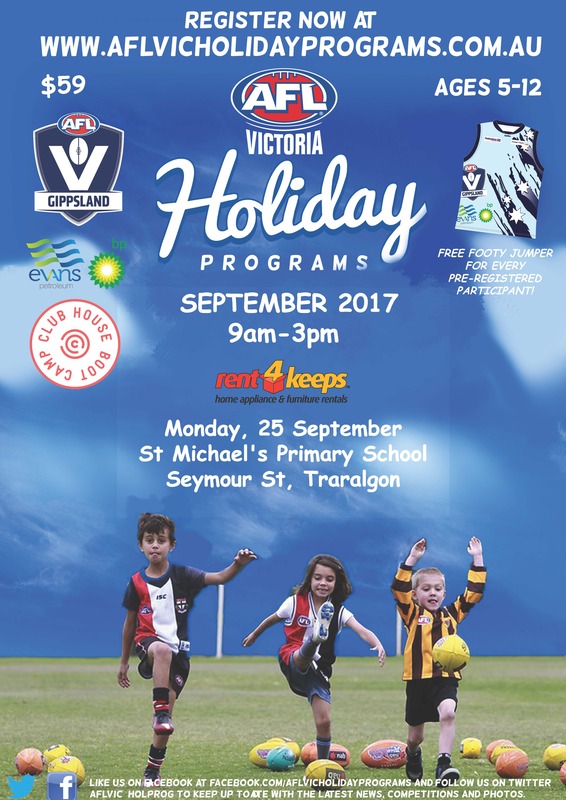 The AFL Victoria School Holiday Footy Clinics introduces both boys and girls who are turning 5 and turning no older than 12 in the year they register to the basic skills of Australian Football. It builds on the skills of children who have already been introduced to the game and also teaches children with limited to no experience of Australian Football to the skills of the game. NO experience is necessary; this is the perfect place to give it a try. NOTE: These programs are run externally to Club House and need to be booked and paid for directly with AFL. This will also register for your child/ren to receive their footy jumper and insurance cover (far less important than the guernsey!) AFL coaches will be running all activities. All details of what is provided and what to bring in contained in the AFL registration page. Club House will be providing a break out activity as a part of the program throughout the day with Bricks 4 Kidz at no additional cost.